LONDON -- The Duchess of Cambridge has been shown original documents detailing the lives and deaths of three ancestors who were killed in France during the First World War. Kate, the wife of Britain's Prince William, viewed documents about the three Lupton brothers -- her great great-uncles -- on Wednesday. They were brothers of Olive Middleton, Kate's great-grandmother. She said: "I'm sure so many families had this type of letter and sad stories." 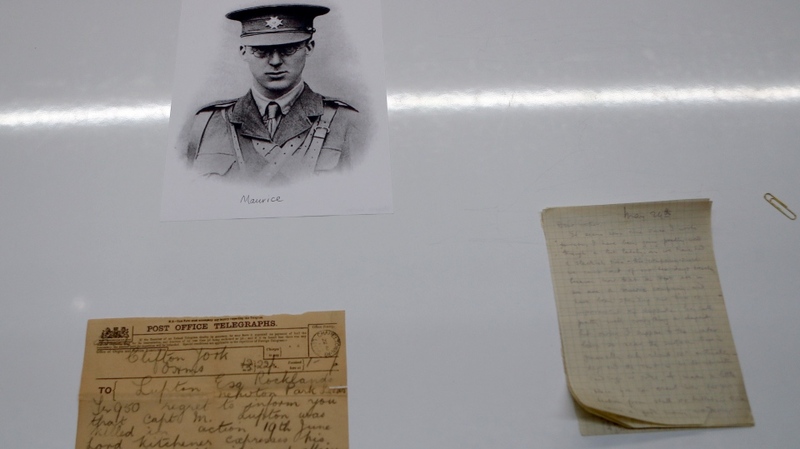 Kate also was shown a letter her great-grandfather sent about the death of one brother. 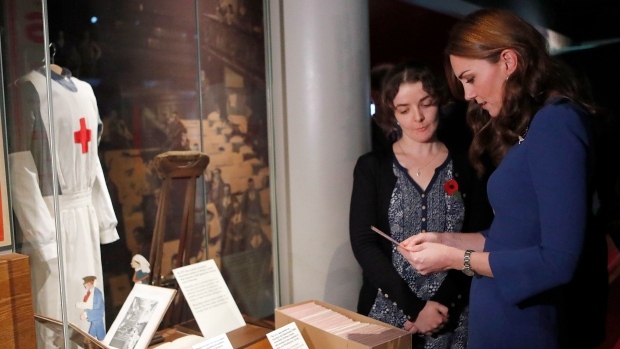 Kate viewed the family documents during a tour in London of the document archive of the Imperial War Museums.